Home How Long Does It Take To Charge A Car Battery? A battery of the car plays a vital role. It acts like the heart of an automobile because it gives power to the engine for ignition. It is also crucial in stabilizing, filtering, and providing power to electrical lightning and its accessories. Moreover, it stores extra electricity created by the alternator. But with a dead battery, you’re not able to start your car nor use its accessories. Dead car batteries may be problematic sometimes. 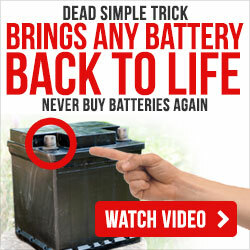 (You can read about our dead car battery tricks). Dead batteries happen when the charging system isn’t doing its job properly when you used too much car accessories, or when you accidentally left your car’s headlights on. The most annoying scenario about having a dead battery is being stranded in the middle of the road. That’s why charging your car battery is important. So, the question is, how long does it take to charge a car battery? 2.3 Does Revving the Engine Charge the Battery? If your car refuses to start, then maybe it’s time to recharge your automobile battery. There are certain ways to charge up an automotive battery. You can jump start it and drive it for several minutes. Otherwise, you can also use a car battery charger. However, it takes longer. If you are taking care of your car batteries then it might not require a recharge for at least five years. A basic home battery charger includes a transformer and rectifier. Charging time of a battery depends on how discharged your battery is. If it is fully drained then it takes a longer time to be recharged. Batteries stores energy and usually take some time to be recharged. For example, a drained battery usually needs to charge it half day or more to be recharged. In charging an automotive battery, slow charging is more recommended than fast charging. 10-amps is considered slow charging while 20-amps is considered fast. However, doing fast charging again can reduce the lifespan of a battery. and may result in an overcharged battery. (Check the average car battery life). To know how long your battery will take to be recharged, you must first learn the condition of the battery such as the availability of the remaining charge, the power of the charge, and the setting of the charge for charging your car power cells. STEP 1: Know how much supply limit your battery has and estimate the amp-hours in the battery. Do this by multiplying the supply limit by 0.6. EXAMPLE: If you have a car cell with a hundred minutes reserve capacity, multiply it by 0.6 and you’ll get 60 amp-hours. STEP 2: Apply a voltmeter to regulate the open circuit voltage of your battery. Open circuit voltage is the charge of the series which is disconnected from the circuit or with no load. If the voltmeter indicates or shows 12.2 volts that means the battery has a charged of approximately 50%. Since it is half before it fully charged, this means there is roughly 50% of 60 amp-hour or clearly 30 amp-hours. Therefore, you have put 30 amp-hour plus 20% more to recoup the internal reserve in the battery. This means you need 36 amp-hours to fully recharge your battery. STEP 3: If you are planning to charge your battery at 10-amp rate to replace a 36 amp-hours. You can determine your charging time by dividing 36 by 10 to get 3.6 hours. STEP 4: After cooling down your battery in room temperature, use a voltmeter to check whether it is fully charged. Both can help you recharge your motor battery. But it’s important to understand the difference between the two. Car battery chargers work by converting alternating currents into direct currents. It must be purchased based on the type of car power pack. Basic car chargers usually charge at two amps which means it will need 24 hours to fully charge a 48 amp-hour battery. The greatest downfall of it is their inability to charge quickly. On the other hand, jump starter gives your storage cell an instant surge of power and charge. Jump starters are smaller than the normal charger which makes it portable. How long does it take to charge it at two amps? Well, an automobile battery usually holds 48 amps, so if you use a two amps battery charger will take 24 hours to fully charge the battery. This type of amperage is usually used when maintaining your battery at a certain level. Unlike two amps battery charger, four amps battery charger can recharge a 48 amp-hour battery for 12 hours. This kind of chargers is perfect motorbikes and other smaller batteries! What is a jump start? Jumpstart is a method of starting an automobile with a dead or discharged battery. For most drivers, carrying a jumper cable is important to do and remember. So, how do we jump start a car? To jump-start, a dead battery, find a car with a good battery. And before attaching the jumper cable ensure that both vehicles are turned off. First, open both car’s hood then put the red clamp on the positive post of the good battery. Then, clamp the other one on the dead battery’s positive post. Next, place the black clamp on the negative post of the car with good battery. Then, place the other black clamp on the grounded surface on the vehicle with the dead battery. Note that the grounded surface is any metal part of the vehicle’s frame. And finally, turn on the engine of the car with good battery and allow it to idle for a few minutes. If both engines start perfectly, then leave it for some time to allow the battery to continue charging. But the major question is, “How long does it take to jump-start?” Jump-starting a dead battery typically takes 1-2 minutes. If you are stuck in the middle of the road because the dead battery and there is no other car passing by. Then you can call for a towing truck or try jump-start your car without the help of another car. But how do we jump a car battery without another car? Well, if you do not have jumper wires, you can try to push the car manually or allow it run from a hill. After that, you must move the clutch down and place the car in second gear. Then turn on the ignition without starting the car. Next is to release the brakes. After that, release the clutch when the speed of car reach 5 miles per hour. If the car still doesn’t start, then make it in a downward position and lose the clutch. Keep on driving the car to charge the battery. 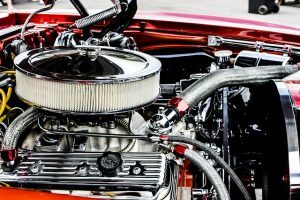 Does Revving the Engine Charge the Battery? Revving an engine means accelerating or increasing the strength. Revving during jump start is a good idea. Because as the engine turns faster, the engine’s alternator also turns power and produces power. Revving increases the output of the alternator which gives your battery an extra power. To wrap it all up, in this topic we have talked about the charging of a dead car battery, as well as how long does it take to charge a car battery and how to determine the charging time.